A homeless man is being praised after he turned in $17,000 he found inside a bag outside a food bank in Washington. Kevin Booth, 32, found the cash inside a brown bag outside the Sumner Food Bank back in August. He had been looking for the bread that is usually left outside the building for people to take. When Booth opened the bag, he found $17,000 worth of cash inside. Booth then waited for the food bank to open its doors and handed the bag to a volunteer. “He said, 'This is for you, somebody left it on your doorstep,' ” Anita Miller, director of the Sumner Food Bank, said in an interview with the Washington Post. The volunteer initially thought it was food and weighed the package, as is routine for all food donations. But when she realized that it was not food that was inside the bag, she decided to call the police. The bag was full of $20 and $100 notes. When Sumner police arrived at the food bank, they took possession of the money and opened an investigation. It was a complete mystery as to who left the bag outside and why and since the food bank's security camera was not functioning properly, it did not pick up any useful information. “It's strange for someone to leave a bunch of money like that outside a food bank,” said Sumner police officer Marcus McDonald in an interview with the Washington Post. Investigators checked with nearby police departments, looked into any robberies in the area and checked for suicidal people who may have withdrawn a large sum. But they couldn't identify who the money belonged to. 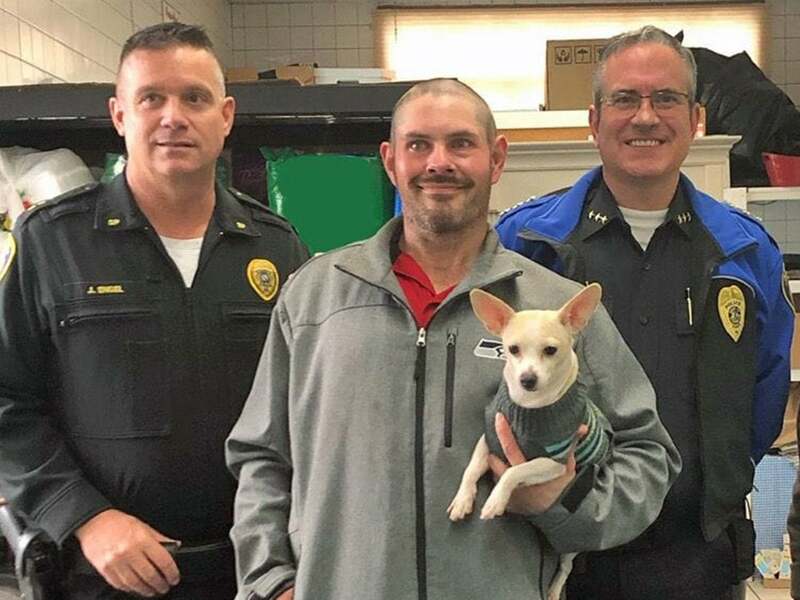 Last week, after the required 90 days had passed and nobody else claimed the loot, police gave it back to the Sumner Community Food Bank in a ceremony in which they also presented Mr. Booth with a citizen's citation for his honesty. Police Chief Brad Moericke presented the citation to Mr. Booth. “Not every citizen would be as honest as you in this situation,” Mr. Moericke told him, according to the News Tribune. The food bank also is rewarding Booth to thank him-- they are giving him various gift cards over time rather than a lump sum of cash. Miller, the food bank director, said she and other volunteers at the food bank have known Booth for years, and they plan to help him through the winter. Miller said Booth lives in a tent in nearby woods and has turned down her offers of shelter.